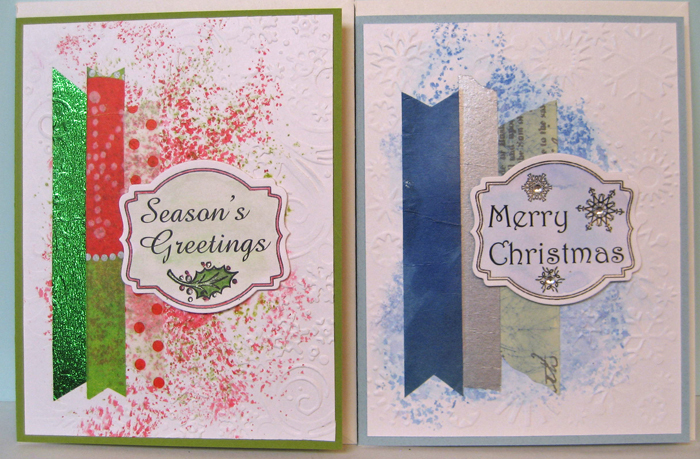 I usually include a few kits for Christmas cards in my classes in case anyone in the group wants them and if not, they it guarantees that I have a few Christmas cards for my stash!! These were as much fun as Christmas cards as they were for the all occasion ones I made! There are quite a few if you check back on the blog.